This year the Cosplay Contest will be of a more casual affair. All participants should meet up at behind the Gaming Generations Booth for some Photo Ops in front of the Official CEOtaku Backdrop at 5 pm on Saturday Afternoon. We will award a Top 3 with various prizes from Sponsors at the event as well as some CEO Swag. Costumes that relate to Anime Fighting Games will have the best chance of winning. 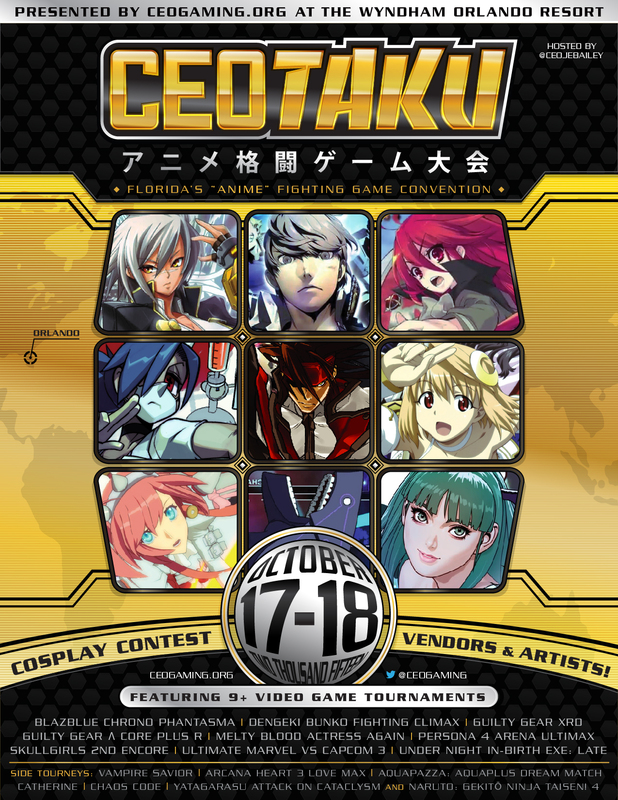 We will have a small panel of judges to decide who we think is the most deserving for their efforts in making a great costume for CEOtaku. If you have any questions please direct them to ceogaming@gmail.com. Other Details about #CEOTaku below.